Analytical Armadillo: Formula Saved My Baby's Life! Formula Saved My Baby's Life! I read this a lot online - sometimes from mums whose milk didn't "come in" or who were medically unable to breastfeed, and more often from mums whose baby was unable to transfer milk effectively, dehydrated and thus the "life saving formula" was introduced. How we should be grateful there is now technology to manufacture this alternative for when breastfeeding doesn't work. But I have to wonder how accurate this statement is. Did the artificial substitute save the life of the baby in that he/she did not die, did it provide adequate nutrition so that the baby could grow? 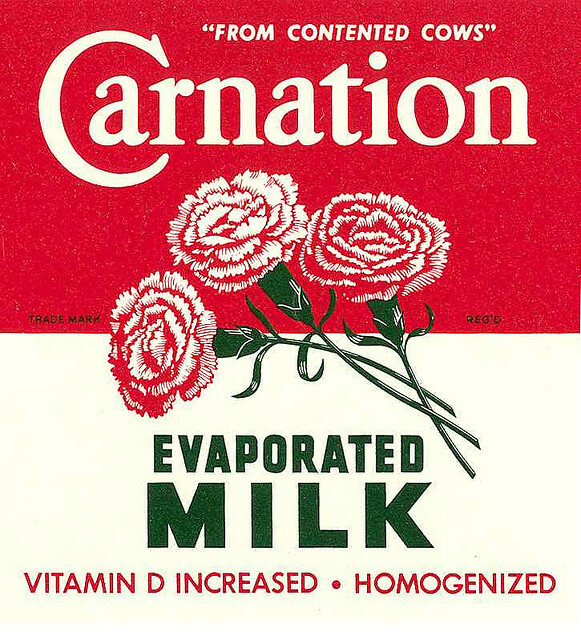 Absolutely - so is Carnation Milk a lifesaver too? (ie the replacement widely used pre formula?) 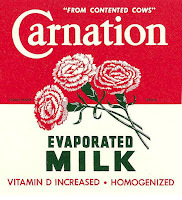 or dilute cow's & goat's milk, or "dry feeding" which was used prior to animal milks. Isn't the reality simply that eating and drinking, thus not starving/dehydrating is the act that is lifesaving? The second thing I wonder is, is it purely about surviving versus not surviving? Isn't the big picture about health too? ie how healthy that surviving person is long term? So we should be looking for the best alternative? The one that proffers the least risk of illness, disease and yes even death - not just in infancy, or childhood but ever reaching into adulthood. 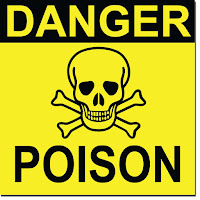 If infant formula wasn't about, would babies be dying in droves? Or would someone step up and ensure that all mothers had the right to obtain donated same species milk? Whilst we have this "nearly as good" mentality around hugely profitable bovine based substitutes, where's the hurry in developing a costly appropriate milk banking system? Of course this logic is fundamentally flawed given the cost of not breastfeeding to the NHS is massive longterm. So in effect, this "lifesaving" alternative that we "should be grateful for", is actually the very thing that for many women undermine breastfeeding in the first place. Lack of effective support, a belief that actually breastfeeding doesn't really matter, debates over whether it is appropriate to give the milk of our own species in a public place? Booby traps galore, a belief breast is "best" and formula is "normal". All only made possible because of this alternative. The Politics of Breastfeeding is the book to cover this topic in detail, but THIS and the short video below are a start. Formula helps because it is there. i don't disagree that many women really feel like formula saved their children's lives. But if formula didn't exist would those babies have died? Not very likely. If there were no formula we would be forced, as a society, to have the means in place to support women so they could be successful at breastfeeding. We would have milk banks available. Wet nursing would be seen as common and normal. So yes, formula has helped a lot of Moms. But the only reason it may have saved lives is because the formula companies have done such an effective job of making it the only option. Shouldn't human milk be freely available to single dads? I agree that if formula wasn't available we'd have other methods and i'd like them to be options which is why i've donated 25+ litres of ebm. However i strongly feel that whilst they aren't available now ff can sometimes be medicine. Ebm would be better medicine but when my dd was admitted to hospital after losing too much weight i had no real alternative. A lack of bf support is why i'm now a peer supporter and i agree that more should be done to help establish bf. As Kris said- formula may save lives, but it also undermines the breastfeeding relationship. That's like saying a car saved my life (by transporting me to hospital) after a car accident. Babies survived prior to the creation of ABM. Pharma companies created a product to satisfy a need, then used marketing tools to increase the 'need' for the product. ok, i am going to take issue with dad's needing to bond only thru giving the baby a bottle. there are so so many ways to spend time with your baby that feeding should be left to mom. my dear husband has been able to bond well with all 6 of our kids without having to give them a bottle when they could be nursing. that undermines breastfeeding and dad's need to be 100% behind it and support mom in another way: like get her water or tea or rub her feet or walk the baby or change a diaper or make a meal instead of insisting on feeding the baby. "As a father being able to bond with a new baby by feeding them is enormously significant"
...as a father, why go around insulting a great number of fathers who instead diligently supported their partner so she could provide optimal feeding? That old chestnut, that babies should get a rubber teat or else they won't bond with Daddy, really needs to go. When my daughter was born, Dad did all the diapers, calmed her by taking showers with her, made himself available as her mattress, etc. I really do not think he was missing on anything "enormously significant" when kiddo didn't get bottles. Does breastfeeding advocacy require a separate wing to reassure insecure Dads? One wonders, one really wonders... Certainly a lot of women end up messing around with pumps, not really knowing how the whole thing works but "Dad wants to feed," etc, and uninformed use of a pump can cause real breastfeeding problems. Do breastfeeding PSAs need to target fathers? @ Liquorice Torpedoes - with respect, I don't think that makes sense :) You seem to say that poor BFing support led to your becoming a Peer Supporter (brilliant!! ), and therefore I presume that lack of support led to your baby needing supplementation. Ergo - formula should not have been required. It's like companies jumping in with food replacement packages (as they're trying to sell to drought areas) rather than investing in resolving the reasons for the drought. Does that make sense? @Anonymous single father - as a few people have said, while it's lovely to feed your baby it honestly isn't needed to bond with your child :) Furthermore, if I was the father in a relationship (which I appreciate is not your situation) I'd want to ensure that my child had what he was supposed to be having rather than an inferior and potentialy dangerous product just for my own pleasure. I agree with Kris though as we don't have alternatives to ff at the moment. And yes i was so apalled at the lack of support i wanted to change things. (Dd2 was EBF and bar a month of topups dd1 had ebm til she was one). I was disappointed that my local milk bank didn't want my ebm because they weren't being asked for it by hospitals - very sad. I didn't want to bf so I formula fed. My baby is happy. Am I a bad mum? I think the reason you didn't want to breastfeed will be able to replace the poorly chosen word "bad" with a correct term. So what was your reason for not wanting to. You REALLY think that people would step up and figure out ways? They didn't in the past before formula. Before formula, yes there were wet-nurses who took the baby for the time they breastfed (are you willing to hand over your newborn for a year? How about the cost of hiring someone to live with you?) I've read historical accounts of wetnurses sobbing as the baby was taken from them... do you think they lined up to do it again? Wet-nurses also were known to starve the baby who wasn't theirs, feeding their own baby first and the unwanted second, and if she didn't quite have enough, oh well. There are blood bank shortages and EVERYONE can donate blood, but do they? No. Want to know why milkbanks don't get a million moms donating? Because most moms have things that they do that would put a baby at more risk in their lifetime than the ingredients in formula. Risking their own baby is one thing, but if they risked other babies then the bank would be held responsible. Look, before formula babies were fed whatever their mother could try to keep them alive, and they died. Wetnurses were used, and they were expensive, hard to work around, and spread disease. Formula HAS saved lives, no matter what you want to believe. And while breastmilk is best, you don't have to belittle another mother's choice, especially when it was medically chosen, to justify your choice or strengthen other mother's in their choice to breastfeed. It's good enough without the hate. QUOTE "Because most moms have things that they do that would put a baby at more risk in their lifetime than the ingredients in formula. Risking their own baby is one thing, but if they risked other babies then the bank would be held responsible. " Can you expand more on the theory breastmilk is more risky than the ingredients in formula? Which diseases were spread by wetnurses exactly? We're talking milk sharing with the technology of today not historically no? The first myth is that informal milk sharing is riskier than infant formula. The second myth is that breast milk is a scarce commodity. The Breastfeeding Nazi - For Real?